Hot ringtones on Audiko.net! 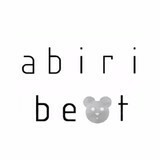 We propose to download a free abiribeat ringtones for your iPhone or mobile. Cut your favorite trim from your favorite masterpiece - EXO - I WIN x YOU LOSE [Lotto vs Cant Bring Me Down vs T, EXO/INFINITE STRANGERS, EXO/BLACKPINK/NCT-U - UNDERWATER [Lotto vs Whistle vs 7th Se, or any other track. You may download your track piece both in the MP3 and m4a formats, compatible with both mobile phones and iPhones. Just select a track, and choose free abiribeat ringtones download option.